WB results of 22228-1-AP(FOXP3 antibody). IP Result of anti-FOXP3 (IP:22228-1-AP, 3ug; Detection:22228-1-AP 1:1000) with HeLa cells lysate 1840ug. 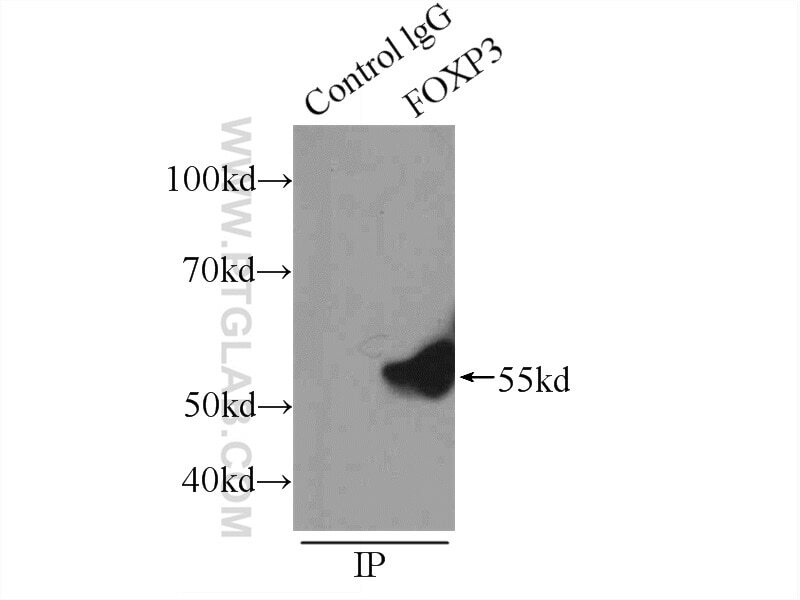 FOXP3, also named as IPEX, JM2 and Scurfin, is a transcription factor. POXP3 plays a critical role in the control of immune response. Defects in FOXP3 are the cause of immunodeficiency polyendocrinopathy, enteropathy, X-linked syndrome (IPEX) which also known as X-linked autoimmunity-immunodeficiency syndrome. This antibody is a rabbit polyclonal antibody raised against a peptide mapping within human FOXP3. rFliC prolongs allograft survival in association with the activation of recipient Tregs in a TLR5-dependent manner. Up-regulation of microRNA-210 induces immune dysfunction via targeting FOXP3 in CD4(+) T cells of psoriasis vulgaris. The Dynamics of Treg/Th17 and the Imbalance of Treg/Th17 in Clonorchis sinensis-Infected Mice. Upregulated Expression of microRNA-16 Correlates with Th17/Treg Cell Imbalance in Patients with Rheumatoid Arthritis. Effect of IL-17 in the development of colon cancer in mice. Regulatory effect of baicalin on the imbalance of Th17/Treg responses in mice with allergic asthma. 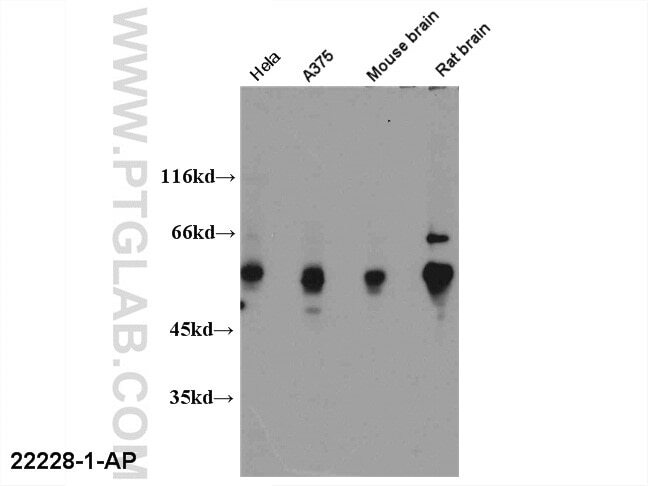 WB results of anti-22228-1-AP(FOXP3 antibody).